Boxed weight, approximately 8 lbs. 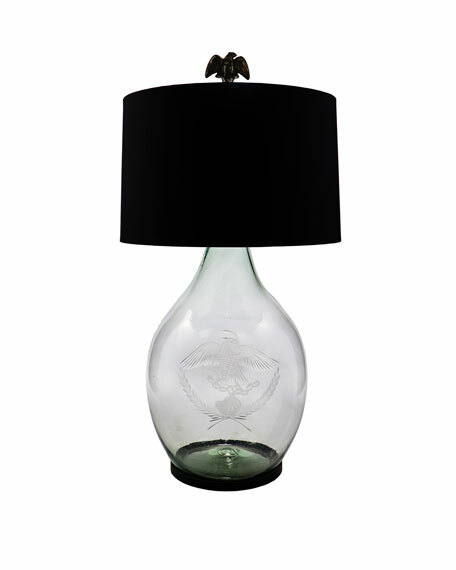 Mouth blown glass lamp with eagle etching. Iron base and large iron eagle finial. Black silk rolled edge drum shade. High-low switch. UL electrical. 20"Dia. x 38"T. Imported. Boxed weight, approximately 19 lbs. 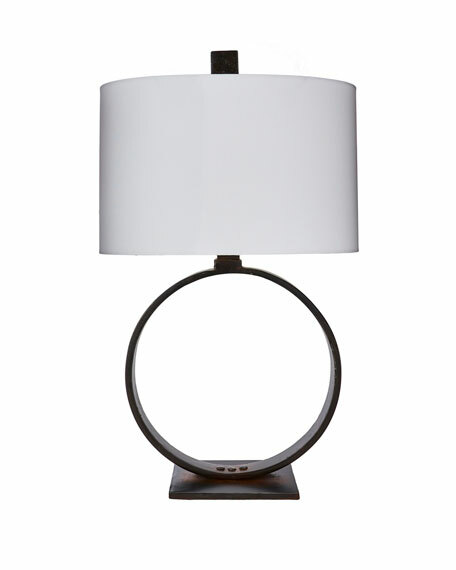 Forged iron circle lamp with white fabric rolled edge oval shade and iron square finial. High-low switch. UL electrical. Iron/glass. 19"W x 12"D x 31"T. Imported. Boxed weight, approximately 28 lbs. 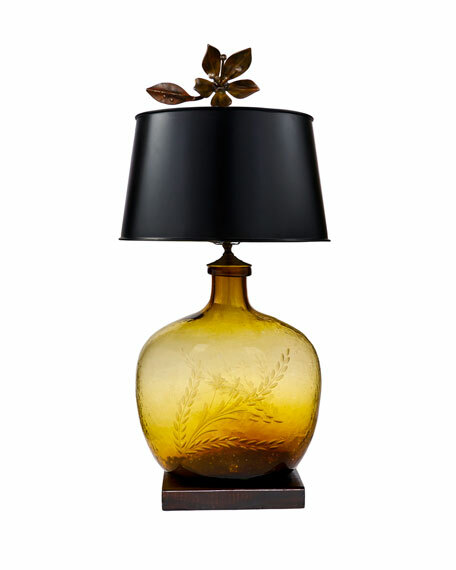 Mouth blow amber glass lamp with pepita etching. Black silk rolled edge drum shade and flower finial. 2" optional wooden base. High-low switch. UL electrical. 20"Dia. x 33"T. Imported. Boxed weight, approximately 18 lbs. 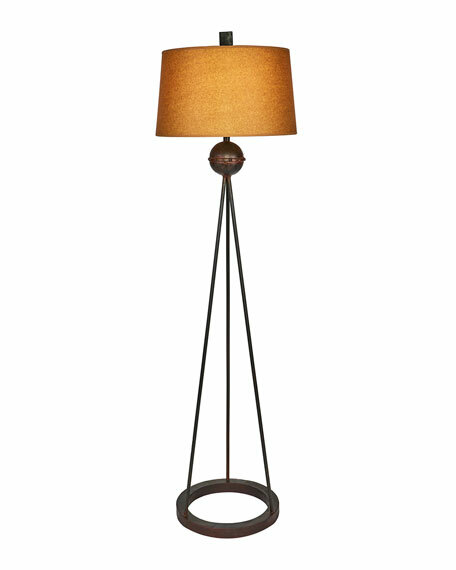 Forged iron floor lamp with iron cube finial and oiled kraft paper shallow drum shade. High-low switch. UL electrical. 19"Dia. x 70"T. Clean with soft dry cloth. Imported. Boxed weight, approximately 35 lbs.